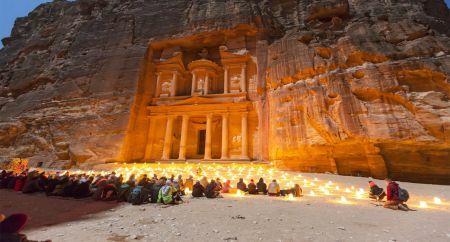 Delight in Petra Egypt Tour and Enjoy the beauty of Egypt and Jordan in extraordinary tours takes you back through history, Starting from Cairo with the variety of it's ancient and Islamic sightseeings. Cruise the Nile for 3 nights then fly to enjoy the peaceful Red Sea, fly to Jordan to see the legendary 'rose-red city' of Petra and more. Meet and greet service by our representatives at airports and station. Accommodation for 2 nights in Aswan hotel including breakfast. 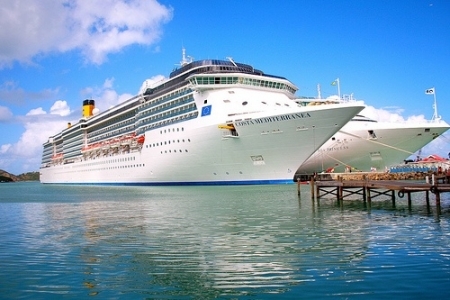 Accommodation for 3 nights on board 5-star cruise on full board. Accommodation for 3 nights in Sharm El Sheikh including breakfast. Accommodation for 3 nights in Amman including breakfast. Accommodation for 1 night in Petra including breakfast. 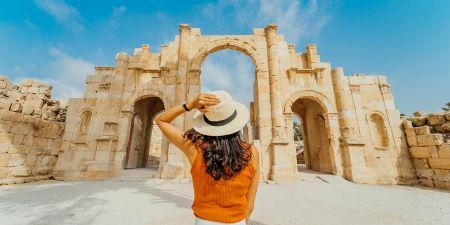 Day tour in Amman to major sights as described above in itinerary. Day tour to Madaba, Nebo, and the Dead Sea. Day tour in Petra to major sights as described above in itinerary. Lunch meals during tours in Giza/Cairo. Entrance fees to the sights in Egypt and Jordan as mentioned above. English speaking guide on the cruise (You may share Memphis Tours group). Spot Local English speaking guide in Petra & Jerash for about 02/03 hours. English assistant driver in the Dead Sea, Madaba, Nebo & Ajloun. Domestic Flight ticket (Cairo/Aswan - Luxor /Sharm El Sheikh). International flight from Sharm to Amman. Entry visa to Egypt & Jordan. Memphis Tours representative will meet and assist you at Cairo International Airport. 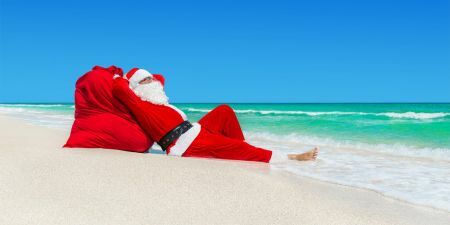 After that you will be transferred to your hotel by a private air-conditioned vehicle. Upon arrival at the hotel he will check you in and give detailed information concerning your tomorrow’s trip. Overnight in Cairo. Breakfast at your hotel in Cairo and then met by your personal guide who will accompany you to Giza Plateau to visit the Great Pyramids of Cheops, Chefren and Mykerinus - Famous Sphinx and Valley temple facing the great statue. Additional visit to the Solar Boat in front of Cheops Pyramid ( extra ticket on spot ) Lunch included during the tour and then proceed to Sakkara area to visit Sakkara Complex and first pyramid ever built (Djoser Pyramid). Move to Memphis; Old kingdom's capital and famous Necropolis. Overnight in Cairo. Breakfast at the hotel and then you will be escorted by your private guide to visit: Egyptian Museum, Treasures room for the child king Tutankhamen, alongside many other fascinating artifacts. Additional visit to the mummies room at the museum ( extra ticket on spot ) Lunch through out the tour at local restaurant, then moving to visit Saladin Citadel including Mohamed Ali Alabaster Mosque inside. Continue to Coptic Cairo to visit the Hanging Church and Ben Ezra Synagogue. Combining fascinating history with shopping in a lively Khan El Khalili Bazaar, this dates back to 1382. In the evening transfer to Cairo Airport for a flight to Aswan. Overnight in Aswan. Enjoy your breakfast and free time at your hotel in Aswan with an optional excursion to Abu Simbel temples (Abu Simbel remains one of Egypt's top tourist attractions) to see the magnificence of these temples. They are undisputedly one of the world's most breathtaking monuments, and Egypt’s second most visited touristic site (the Pyramids of Giza being on the top of the list) the most remarkable feature of the temple of Abu-Simbel is that the construction is oriented in a way that twice a year, the morning sun rays shine through the length of the inner temple cave and illuminate the statues of the four gods seated at the end of the cave. Then you will be transferred back to your hotel for a peaceful over night stay in Aswan. Sail to Luxor, have breakfast on board then Visit the West Bank and the Valley of the Kings, The temple of Queen Hatshepsut at El-Deir El-Bahari and the Colossi Memnon, Lunch on board and continue visiting East Bank ( Karnak and Luxor Temples ), enjoy afternoon tea during sailing. Dinner on board Overnight in Luxor. Breakfast on board, disembark from your Nile cruise after breakfast, and then you will be transferred to Luxor Airport for a flight to Sharm. Upon arrival at Sharm Airport, you will be transferred to your hotel in Sharm and overnight. Free day in Sharm or join our optional tour to Ras Mohammed National Park which is both a terrestrial and an aquatic nature reserve. The 480 square kilometer protected area lies where the Gulf of Suez meets the Gulf of Aqaba in Sinai's southern extremity. The arid desert terrain of sand dunes, gravel plains, fossilized corals and granite mountains is home to a number of rare mammal species: Dorcas gazelle, Nubian ibex, and red fox. Easier to spot are the resident birds like terns, herons, gulls, and ospreys. Thousands of white storks pass through Ras Mohammed each year, heading south during September/October and back north during April/May. About 85 flora species live in the park, including mangroves. Overnight in Sharm. After breakfast, transfer from your hotel in Sharm El Sheikh to visit The Monastery of St. Catherine located at the heart of Sinai and at the foot of the Gebel Musa, or Mount Moses. Fronted by gardens and cypress trees, the monastery is owned and run by the Greek Orthodox Church. Its rich library houses the world's second largest collection of illuminated manuscripts after the Vatican. You can see the Burning Bush and a large number of antique works of art: invaluable icons, beautifully carved doors, exquisite wall paintings and other fine religious ornaments. Overnight in Sharm El Sheikh. Breakfast at your hotel in Sharm El Sheikh and then you will be transferred to Sharm International Airport for a flight to Amman. Memphis Tours representative will meet and assist you upon your arrival at Amman International Airport. After that, you will be transferred to your hotel in Amman by a private air-conditioned vehicle for check-in. Upon arrival at the hotel, he will do your check in and give you detailed information concerning your tomorrow’s trip. Overnight in Amman. After breakfast, you will be transferred towards north to Jerash, the best example of a Roman provincial city in the whole Middle East. Visit Oval Plaza, Roman colonnaded street, the Nymphaeum, the Temple of Artemis, fountains and its city walls pierced by towers and gates. Then move to Ajloun Castle. It was built by Izz Al-Din Usama, one of Salah Al-Din's generals in 1184 AD. Back to your hotel in Amman to overnight. Have your breakfast, we will visit Madaba where you see the famous 4th-century Byzantine mosaic map of Israel inside the Greek Orthodox Church of St. George. Then transfer to Mt. Nebo, the place where Moses had gazed at the Promised Land and is believed to be his burial ground. You visit the old monastery; overlook the Jordan Valley, the Dead Sea and parts of the Holy Land. After this we will drive towards the lowest point on earth the Dead Sea, there you will enjoy the health benefits of its mineral mud and float on its salty waters which are 10 times saltier than ocean water. After this, we will drive towards Petra and transfer you to your hotel. After breakfast, we will have a tour in Petra, the biggest attraction in Jordan. Petra was first established in around 6th century B.C by the Nabatean’s, a nomadic tribe who settled in the area and laid the foundations of a commercial empire that extended up to Syria. Upon arrival, you will begin the trip on horseback to the canyon, the so called Siq, and then by foot to the most beautiful monument: the Treasury. Among other monuments you will see are the Street of Facades, the Royal Tombs, and Pharaoh’s Castle. After the tour, we will drive 2.5 hours back to Amman hotel to overnight. Check out time is at 12:00 noon and depending on the time of your flight, we will transfer you to Amman International Airport for your departure.